On the heels of the news that the L train will not run between Brooklyn and Manhattan for 15 weekends, yet another subway station is also temporarily closing. This time, it’s the 174-175 Street B, D station, which will be modernized as part of an $88 million contract to repair a total of three stations in Harlem and the Bronx in dire need of renovations. It will close through December beginning Monday. 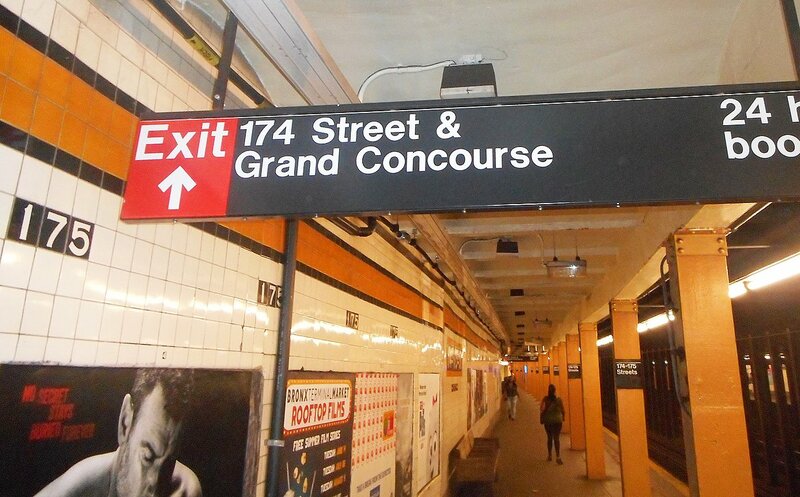 Monday to Friday, through the end of the month, 2 and 5 trains run at a reduced speed near 149 St-Grand Concourse. Downtown A trains skip 50 St, 23 St, Spring St, 116, 103, 96 and 81 Sts. Inwood-bound A trains skip 135 St and 155 St.
Euclid Av-bound C trains skip 50, 23, Spring, 116, 103, 96 and 81 Sts. No C trains between 145 St and 168 St – A trains provide alternate service. World Trade Center-bound E trains skip 23 St, Spring St, Briarwood and 75 Av. No L trains between Broadway Junction and 8 Av – free shuttle buses provide alternate service. L trains operate only between Rockaway Pkwy and Broadway Junction. Beginning 5am Monday the 174-175 Sts B, D station will close through December. Norwood-bound D trains skip 170 St, 174-175 Sts and 182-183 Sts. Coney Island-bound F trains skip Sutphin Blvd, Briarwood and 75 Av. Queens-bound F and G trains skip Fort Hamilton Pkwy, 15 St-Prospect Park and 4 Av-9 St.
M service is extended to the 96 St Q station. No N trains between Ditmars Blvd and Queensboro Plaza – free shuttle buses provide alternate service. Coney Island-bound N trains run via the R from Canal St to Atlantic Av-Barclays Ctr. Coney Island-bound Q trains run via the R from Canal St to DeKalb Av. Manhattan-bound R trains run express from 71 Av to Queens Plaza, stopping at Roosevelt Av. No J trains between Crescent St and Jamaica Center – free shuttle buses provide alternate service.